Based on the popular motto “All good things come in fives”, SAP’s Young Thinkers Network supported the Rhine-Neckar Code Week, a local branch of the EU Code Week organized by SAP CSR, with 4 coding workshops and an information booth. More than 25 adults and a minimum of 50 kids were enthused with coding by taking their first programming steps with the graphic programming environment Snap!. Already at the opening event of the Rhine-Neckar Code Week at the Technoseum Mannheim, the SAP Young Thinkers Network showed a strong presence. After taking a trip through the eventful history of industrialization in the regular exhibition of the Technoseum, visitors could take a look behind the scenes of current and even future-orientated technologies. Visitors were learning how to successfully monitor the health conditions of their pot plants (module “smart gardening”) and playing a microcontroller based reaction game at the Young Thinkers Booth, shaking hands with a robot arm programmed with a graphic programming language and getting a refreshment with 3D-printed chocolate, before they could collect their first own programming experiences. In two guided SAP Young Thinkers workshops participants learned how to control and modify the sprites in Snap! and how to program a simple but fun game with less than 30 lines of code. Both kids and adults were similarly excited about their first coding achievements. The kids of the Animus Klub, an intercultural, recreational club for families in the Rhine-Neckar region, even got so thrilled, that they wanted to do a full workshop with Snap! to deepen their coding skills and build their own games. Thus, the Young Thinkers Network spend a whole afternoon with 9 enthusiastic future game programmers supporting them with answers to more (or less) difficult coding questions from “How can I make an online high score?” to “How can we make unicorns dance?”. In the end, the workshop resulted in impressive games as the Bat Simulator, the Unicorn Clicker and a modified version of the popular Atari video game Pong and even more terrific ideas for further programming projects. 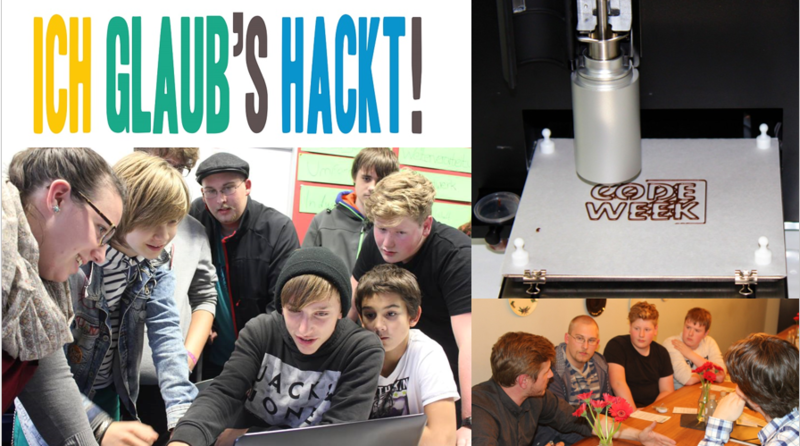 The workshops in Technoseum, Animus Klub and Holzwurm Heidelberg ended with excitement and pretty much the same questions: “Can we do another workshop?” and “How can I keep coding at home?”. Starting with two workshops and a Young Thinkers booth at the opening event in Technoseum Mannheim, followed by deepening workshops during the Code Week and just concluding with a workshop after the official ending of the code week, the SAP Young Thinkers Network inspired people from age 6-60 to get involved with hardware and coding. 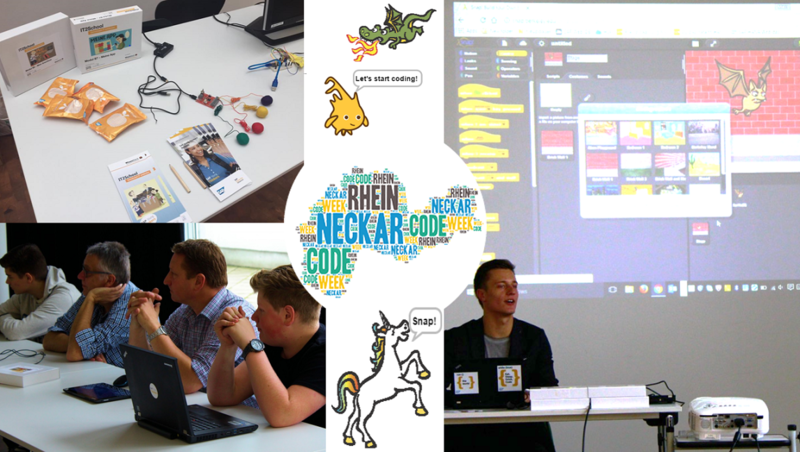 We are extremely delighted, that we could help the EU and Rhine-Neckar code week to successfully accomplish their goals “to bring coding and digital literacy to everybody in a fun and engaging way”.